The Association of American Medical Colleges (AAMC) launched the new MCAT exam in April 2015. You often still hear students talk about the old MCAT because this change was so recent. While pre-medical students can only take the new MCAT now, many are still interested in how this exam differs from the old one. That is our main topic for this post: new MCAT vs. old MCAT. Number of Sections: The old MCAT had three sections and the new MCAT has four. The new section of the exam is called the Psychological, Social, and Biological Foundations of Behavior. This section was created as the AAMC felt that knowing just science concepts was insufficient preparation for modern medicine. To learn more about this section, check out our previous post on how to study for the MCAT Psychology and Sociology. Test Length: As the new MCAT has a new section, it is definitely a longer exam. However, each section of the new MCAT is also considerably longer than those on the old MCAT. The science sections of the old exam were 70 minutes long, compared with 95 minutes for the new exam. Cumulatively, the total testing time increased from 200 minutes with the old MCAT to 375 minutes with the new MCAT. Changes to VR/CARS Section: The reading section, once termed “Verbal Reasoning,” is now called “Critical Analysis and Reasoning Skills.” The section has been stretched from 60 minutes to 90, and all of the passages are now derived from the humanities and social sciences. With the longer timeframe of 90 minutes, it becomes more difficult to pace yourself, so gaining experience with practice passages in crucial. 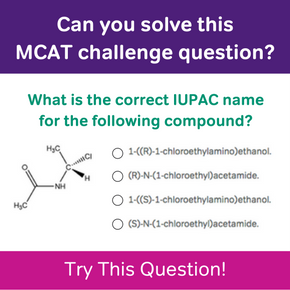 The Magoosh course now contains 36 CARS passages (212 questions), and all of it has been created for the new MCAT. There are some advantages to alternating between online and paper-based practice materials, however. I would recommend mixing it up a bit. If nothing else, your eyes will thank you! Pacing: The longer sections of the new MCAT also came with more questions. However, the number of questions in each section did not increase proportionally. For example, students had about 80 seconds to complete each question on the science section of the old exam. On the new exam, students have about 95 seconds per question. Content: The new section introduced psychology and sociology to the MCAT, content not tested on the old exam. In addition, the AAMC drastically increased the amount of biochemistry tested on the new exam. There were also many minor changes to the content tested in the other subjects. For example, students now need to know quantum mechanics for the physics section of the new MCAT. 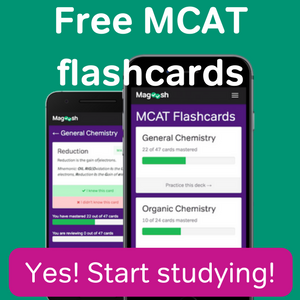 Magoosh’s MCAT prep could help you prepare for both old and new content! Passage Style: In the old exam, students could get passages on any random chemistry or physics topic. Students complained because many of these passages seemed to have nothing to do with medicine. As a result, the new MCAT’s passages are now much more biologically relevant. Another change is that many more of the passages are experimental and adapted from scientific journal articles, reflecting the growing importance of research in medicine. Question Presentation: There were several changes made to the way that the MCAT is presented to students on test day. One drastic change is that students are now only presented one question per page. On the old exam, students could see all of the questions associated with a passage on the same page. This simply means that students must now click “Next” many times just to see all of the questions on the new MCAT. Do I Have to Take the New MCAT? Over a year has passed since the AAMC launched the new MCAT. All pre-medical students that have not taken the MCAT yet will have to take the new exam. However, most medical schools consider MCAT scores to be valid for two to three years. 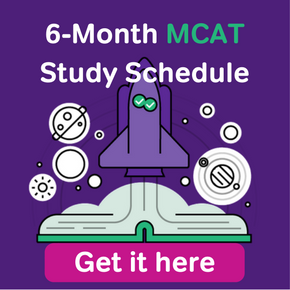 Many students that took the old MCAT are then able to keep applying without taking the new MCAT until the 2018 medical school application cycle has passed. However, it is important to note that not all medical schools will accept the old MCAT through the 2018 cycle. Each school has its own policies so make sure to take a look at the medical school policies for accepting scores.